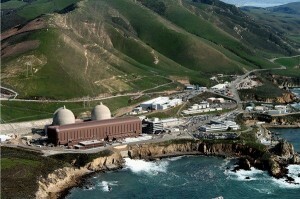 In a bid to force the closure of Diablo Canyon power plant prior to the planned shutdown dates of 2024 and 2025, San Luis Obispo Mothers for Peace is attempting to intervene in California Public Utilities Commission (PUC) hearings. Mothers for Peace argues PG&E is using the imminent closure of the nuclear plant to evade regulatory requirements and necessary safety upgrades. Ojai-based attorney Sabrina Venskus filed a motion to allow Mother’s for Peace to participate in PUC hearings on the plan to close Diablo Canyon. The filing lists several power plant upgrades PG&E is allegedly neglecting and argues an earlier closure would be economically beneficial to California residents. If PG&E were to go ahead with the plant upgrades, the utility would pass on unreasonable costs to ratepayers, Mothers for Peace argues. Mothers for Peace reports that the stator, or stationary portion of the Unit 2 steam generator at Diablo Canyon, is in need of major repairs. However, PG&E does not plan to replace the stator before the planned 2025 shutdown, Mothers for Peace states. A new stator is estimated to cost between $84 million to $151 million. Additionally,the NRC rates the Unit 1 pressure vessel to be among the five most brittle reactors in the United States, according to Mothers for Peace. PG&E applied for and was granted an exemption to the mandated 10-year inspection of the vessel, delaying the inspection until 2025. Mothers for Peace argues an extraordinarily dangerous threat would be posed to California if a cold shutdown caused the pressure vessel to crack. Also, if the vessel were to fail, the financial burden would be more than ratepayers could withstand, Mothers for Peace states. The anti-Diablo Canyon organization also argues the nuclear plant can be closed sooner as a result of the rapid rise in the availability of solar, wind and geothermal energy, as well as rapid innovation in energy storage capacity. The cities of Arroyo Grande, Atascadero, Morro Bay, Paso Robles, Pismo Beach and San Luis Obispo do not oppose the closure of Diablo Canyon. However, the mayors argue PG&E has not adequately involved their cities in the closure process and the utility is not planning on compensating local agencies enough for lost tax revenue. In the filing, the mayors state the amount of money PG&E has proposed paying to local governments to mitigate the loss of income and tax revenue is inadequate because local property taxes alone during that period are estimated to total $200 million. PG&E has proposed paying $49.5 million in compensation to San Luis Obispo County over a nine-year period. You mean the U2 Steam Generator doesn’t even have a working stator?!? Next thing you know, the Mothers for Peace will be telling us that the reactor is missing its left phalange too! Doesn’t everybody realize that when some organization or person wants to challenge PG&E on a decision or position that it costs PG&E money? Where do you all think that money comes from? PG&E’s deep pockets have a hole in them and it goes right into the ratepayers pockets. Although MFP has raised some valid concerns over the years, they have also unnecessarily costs the ratepayers millions, if not billions of dollars to further their cause of shutting down every nuke plant it can. Yes, the ratepayer is indirectly funding the MFP. Yes MFP, sometimes big corporations need to be challenged, but pick your battles wisely because us, the ratepayers, ultimately end up paying the costs PG@E incurs. In my opinion this is why nuclear power in California is going away in. It’s too expensive! If it was your plan to make nuclear power prohibitively expensive, you are succeeding, but at who’s cost. If MFP and others keep challenging the nuclear power industry and costing them money unnecessarily, it ultimately drives up their cost of electricity which all Californians end up paying for on their electric bill. Wait until you see your electric bill after Diablo Canyon is shutdown if you think it’s high now! You might be surprised, I’m guessing it might be a lot higher! What a beautiful piece of engineering. Instead, let’s dig up thousands of acres of open land and bury miles of conduit and cable, pour concrete footings for the steel frames to support solar panels built with nuclear and coal energy and change the land until the next tax break. Oh, but wind energy is where the love really is. Massive towers ruining the landscape as the eye can see. But we don’t want to see the cellphone towers, which are are a fraction of the visual impact of a wind turbine and have to be hidden behind fake foliage. The wind turbines are the good EMF, the bad EMF is the Nuclear energy flowing through these 500 kV power lines. Let’s bury them! I find it amazing the spent radioactive waste is not even included in these discussions and proceedings? It was a mistake to construct it in the first place, for look where we stand (yes, you fellow San Luis Obispo County residents who have been here since the 1960’s/1970’s when this farce started and changed us all into people we no longer recognize, but those of San Diego, Los Angeles, Sacremento, San Francisco, etc., etc.